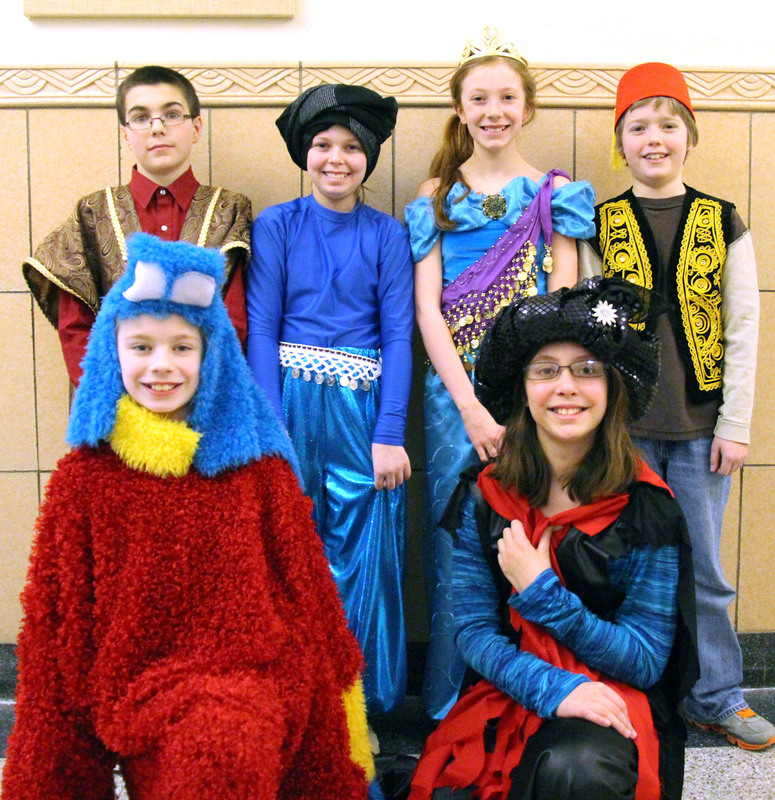 Pictured are members of the cast at a recent dress rehearsal. The Lura Sharp Elementary School production of “Aladdin” will be held on March 14 and 15 with Friday’s show at 7 p.m. in the elementary school auditorium and a matinee performance on Saturday at 1 p.m.
Tickets for the show are $3 for adults, children under four are free. The musical is under the direction of music teacher Stacey Landas.